As birders, we tend to enjoy areas away from the major tourist attractions. But sometimes a tourist location is so epic that it can't be avoided. Today, we're going to take a trek into the magical Tikal National Park outside of Flores, Guatemala. So bring your camelbak and snack bars as we explore this incredible tourist and ebird hotspot! The first time I visited this park was back in 2006. But I had a problem. I wasn't a birder! So back in 2013, I returned with my wildlife training. What would I discover with my new abilities? Tikal is a high tourist/birder traffic spot and the secret to visiting this Mayan gem is to go early before all the tourists get there. When the loud tourists arrive later, move opposite from the crowd. That's where you'll find all the birds. Some don't mind the people, but there are others that do. Or another strategy is to join the crowd later on and explore the historic landmarks. Emerald Toucanet-one of THE MOST DIFFICULT BIRDS to spot because of its coloring! Not only will you learn about the ancient Mayan civilization, you'll also discover one of Guatemala's protected wild spaces. Prepare for mosquitoes and some muddy hikes if you go during the wet season. This park is well worth the visit. If you have a bucket list, this place should be on it. I felt safe hiking with all my camera gear out, and I was able to relax a bit with other park officials around the area who could help me out with bird ID questions. Back in 2013, I discovered the benefits of researching areas before visiting them. Before I would just go and see what there was to see. But as I've been adding new life birds to my list over the past several years, I've really had to focus my searches. My passion for birding becomes an obsession! There are two types of similar looking falcons that reside in this park. A birder may find the more common Bat Falcon and if they study up on their falcons well, they may also discover the rarest of falcons...the Orange-breasted Falcon. Keep your eyes open for these extremely rare birds while you walk around the sacred pyramids. I noticed several falcons going after the hanging Montezuma Oropendula's nests. Tourists walked past me not even caring. 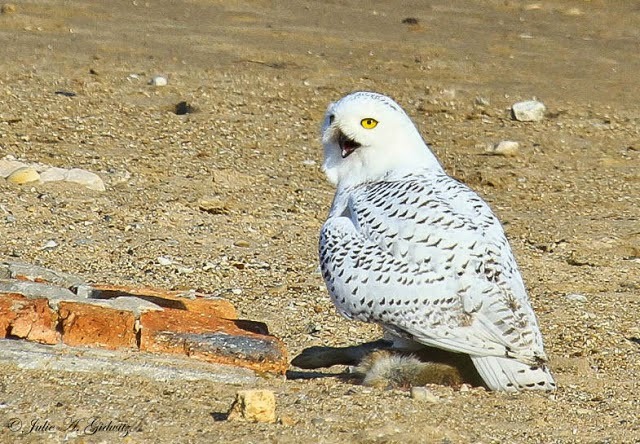 I had no idea how rare this bird was in the wild. I stood and watched it go back and forth thinking to myself, "This isn't a Bat Falcon." A park official noticed me observing the bird and was kind enough to share with me some park data they had on the OBFA. 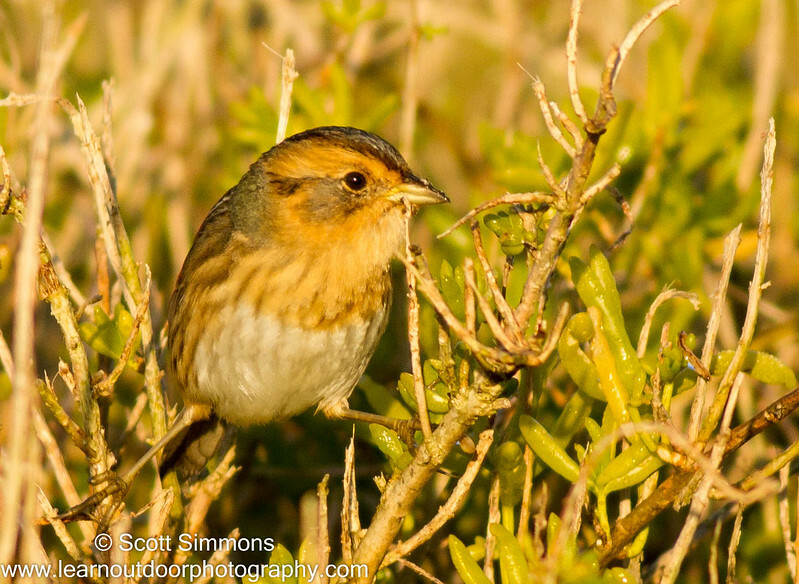 I was thrilled to chance upon this unexpected bird, but the find didn't hit me until after I got home and did more research on my newly acquired life birds. Unfortunately, this falcon is losing much of its habitat. Illegal poaching, by falconers who steal the nest eggs, has also reduced the numbers of this bird in the wild. I won't go into much detail, but it was a several month process verifying this bird with Ebird. And I'll leave it at that. I had the pic examined by several professional bird guides from the area to make sure that I ID'd the bird correctly. 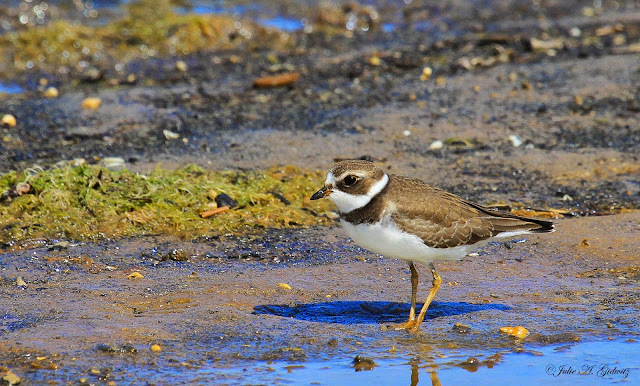 When an unknown bird pops up on my list, it really gets exciting. This was probably my best discovery last year. I hope that Tikal National Park continues to provide a safe haven for this bird for years to come. We continued to trek through the rain forest. I was answering my friend's questions about the Mayans and Tikal, when I felt my spider sense go off. Something was watching us from the canopy of the forest. We chose the independent route. I never get any of my "work" done with people around because I too can be social and distracted easily:) Bring plenty of water. I had my camelbak on the entire time. I think that was my only real concern while on this trek. So here's another tip. Go during the cooler times(which is now until April). Now I know the word "cooler" means various things for each of you in your own part of the world, but generally the summer (June-August) is a balmy cool in the morning to a lovely hot moist by afternoon. It can be downright uncomfortable. Rain happens mid to late morning in the summer. Sometimes it will come and go....and come again. Photography can be a real trick in Central America. I had to change my ISO settings often due to poor lighting conditions. I should also mention that my camera lens liked to fog up while exiting the A/C run shuttles or hotels while entering the humid world outside. This was one of the greatest challenges of our trip during the summer months. Tropical bird activity also adapted to the constant weather fluctuations making the birding a challenge. There's nothing quite like getting stuck in the middle of a rain forest with your camera gear exposed:) A rain poncho is important but should be lightweight so it doesn't weigh down the hike. Finally as we exited the park, my buddy and I felt like yet another bird was following us. And indeed, when we turned around, this inquisitive Collared Aracari had been spying on us. Then came the loud yappy tourists and off the bird went. The Social Flycatcher was of course very social. And just to make sure we didn't miss out on any life bird, the infamous Ocellated Turkeys showed up around the parking lot. There are only two turkey species in the world.....the North American Wild Turkey(which includes the various subspecies like Gould's and Merriam's, etc) and the near threatened Ocellated Turkey from the Yucatán Pennisula. 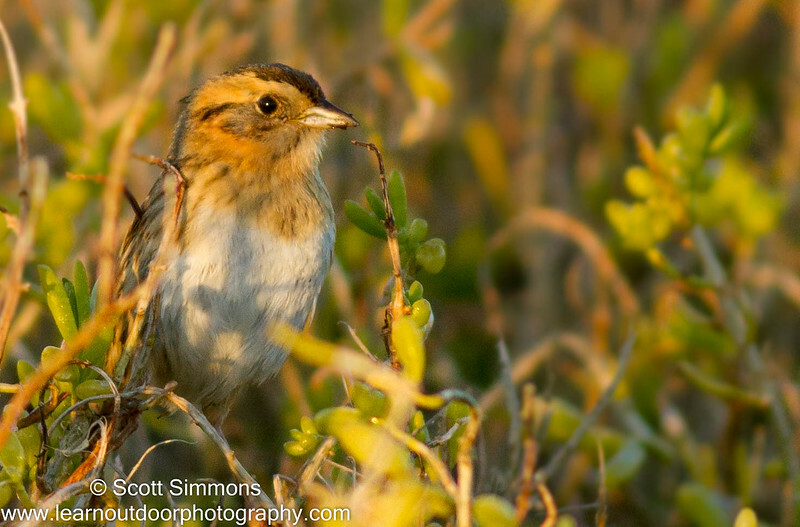 Saltmarsh and Nelson's Sparrows are two of my all-time favorite sparrow species, and, to be honest, two of my favorite birds . 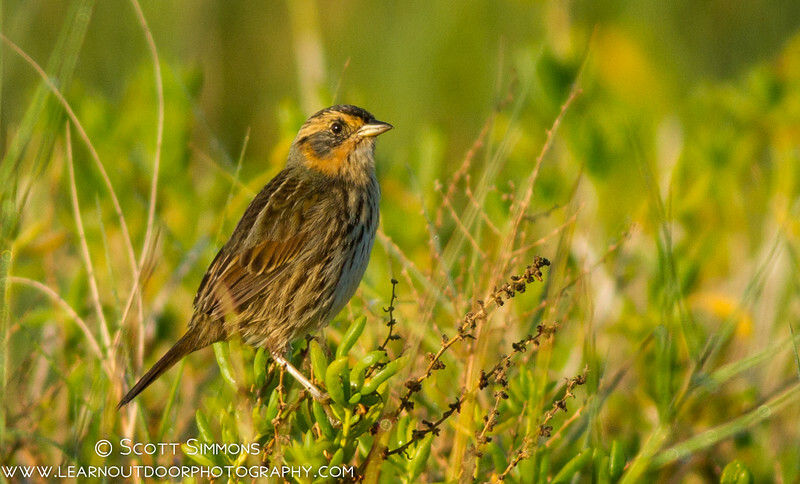 They used to be considered one species, "Sharp-tailed Sparrows. 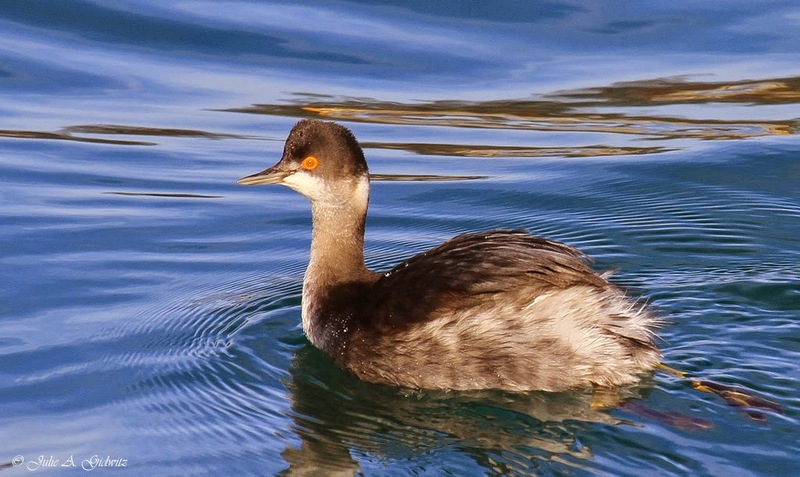 However, they have plumage differences, different calls, and different breeding ranges, so in 1995 they were split into two species. But here in Florida during the winter time, they can be found together, and Shiloh Marsh, which is part of the Merritt Island National Wildlife Refuge, is my favorite place to photograph these wonderful birds. On cool, crisp, windless and sunny mornings they'll often pop up into the open to be seen, especially shortly after sunset. Later in the day, I've been told they're nearly impossible to find, since they stay hidden in the marshes. Can you find a sparrow prettier than these? I used to think of sparrows as brown and drab birds, but the more I began to see Ammodramus Sparrows, the more I began to appreciate the beauty of these wonderful birds. 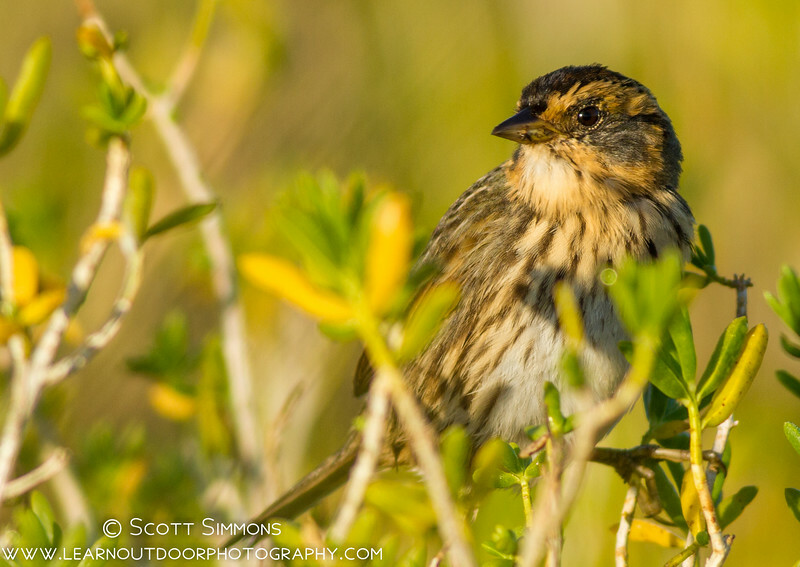 Saltmarsh Sparrows generally have flatter heads and longer bills than Nelson's, and they have more heavily streaked under parts with less orange coloration. 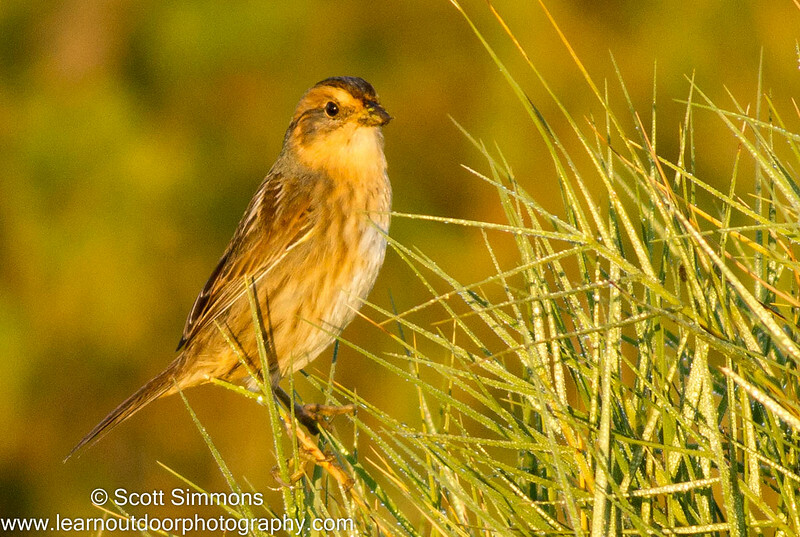 I sometimes think that Nelson's Sparrows are even prettier than Saltmarsh. It's really a toss up for me, though. I suppose really I like best the one I'm looking at at the time. 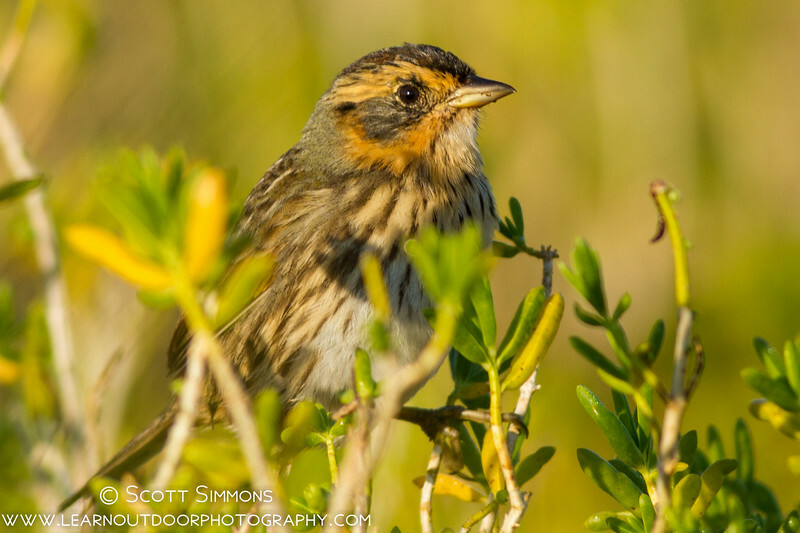 Nelson's Sparrows have rounder heads and smaller bills, and the streaking on the underparts is far less distinct. Last weekend my wife and I took a little mini vacation to the South Hills of Idaho in search of a very unique finch. The South Hills Crossbill (Loxia [curvirostra] sinesciurus) is an endemic species or subspecies that is found only in two isolated mountain ranges in southern Idaho. It has been described in the scientific literature as a full species, but so far the American Ornithologists' Union and the American Birding Association have yet to adopt this change, so it is currently considered a subspecies of Red Crossbill (Loxia curvirostra). 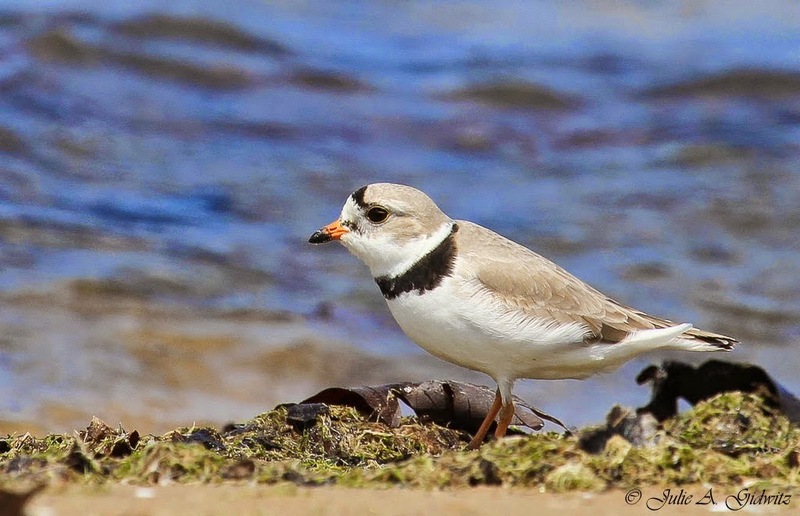 Many people have speculated that this is only temporary, though, so last weekend we set out to put a lifer species "in the bank" in case of a future split. There are lots of great resources online about the South Hills Crossbill, and I don't intend to repeat all that information here. Briefly, the crossbill evolved from a fascinating ecological situation where the symbiotic relationship that keeps cones easy to access in the presence of squirrels breaks down in these isolated squirrel-free mountains, resulting in an evolutionary arms race between well-defended Lodgepole Pines and specially adapted crossbill bills. The original paper is a great reference, but summaries are also available here and here, for example. 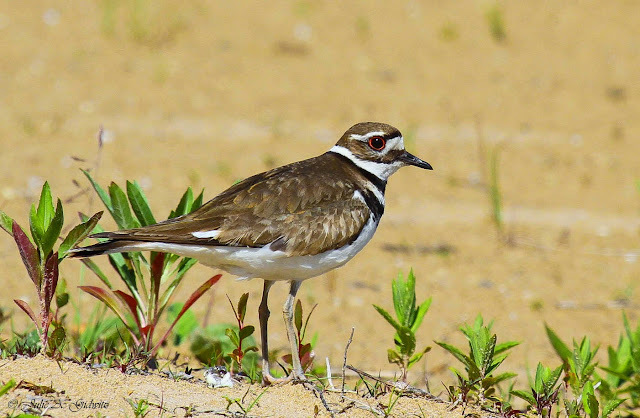 Rather than reiterate the details of ecology and identification that have been published better elsewhere, I will provide here the story of my search, in hopes that it will help others find this cool bird. In November, the road to the crossbills was snowy but plowed. My little Toyota made it just fine, but I was glad to have the chains on. Don't park on the shoulder like I did - despite the very wide road, the sheriff came by and made me move my car to a parking lot. We started by driving up Rock Creek Road into the South Hills. From I-84 take Exit 182 and head south. Just after you cross the river gorge, turn left onto 3800E. This becomes Rock Creek Road and takes you right into the hills and up to the crossbills! Watch the landscape change as you ascend, first valley agriculture, then sagebrush, then junipers, and finally Lodgepole Pines. These pines are the preferred habitat of the South Hills Crossbill. Beyond the Diamondfield Jack Campground, the road was not plowed, but we could still walk it. Snowshoes would have been helpful. A local told us that the road is usually plowed beyond this point. 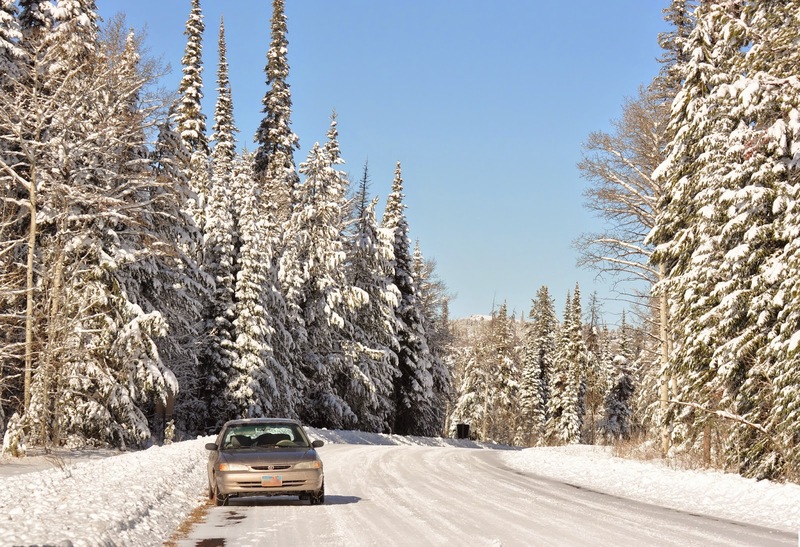 When we visited (in late November), the road was plowed to Diamondfield Jack Campground but not beyond. Despite the plowing, I was glad to have snow chains for the tires, but a four-wheel-drive vehicle would have probably been fine without them. We had crossbills several times between the ski area and the Diamondfield Jack Campground, always perched in the top of Lodgepole Pine or flying over, calling in flight. If you're looking for South Hills Crossbills, you're looking for this: their preferred habitat, Lodgepole Pine. I suggest studying the calls well, because South Hills Crossbills are not the only crossbill type present. Better yet, make some audio recordings and study the sonograms to be absolutely sure you got the right birds. Is this a South Hills Crossbill? It sure could be--it was foraging on Lodgepole Pine in the South Hills. But, I only recorded audio from two individuals in this flock of nine birds, and both of those ended up being Type 2, "Ponderosa Pine Crossbills." Fortunately, my audio recordings confirmed that several other crossbills we saw and heard were indeed South Hills Crossbills, a lifer subspecies that will potentially be a lifer species some day! Overall, we had three types of crossbills, including multiple individuals of our main target. 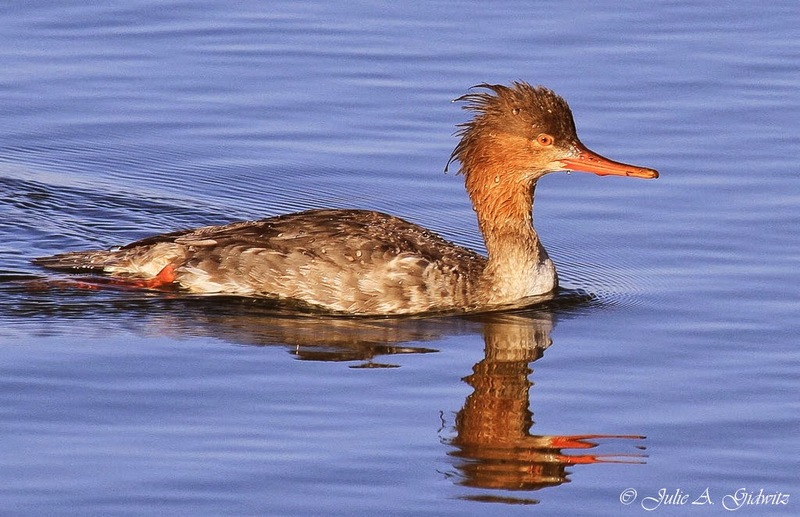 Good luck if you go, and be sure to enter your sightings in eBird! Lake Michigan is along the migration route known as the Mississippi Flyway. I am fortunate to be able to visit the Chicago lakefront, as well as the New Buffalo, Michigan lakefront quite often. 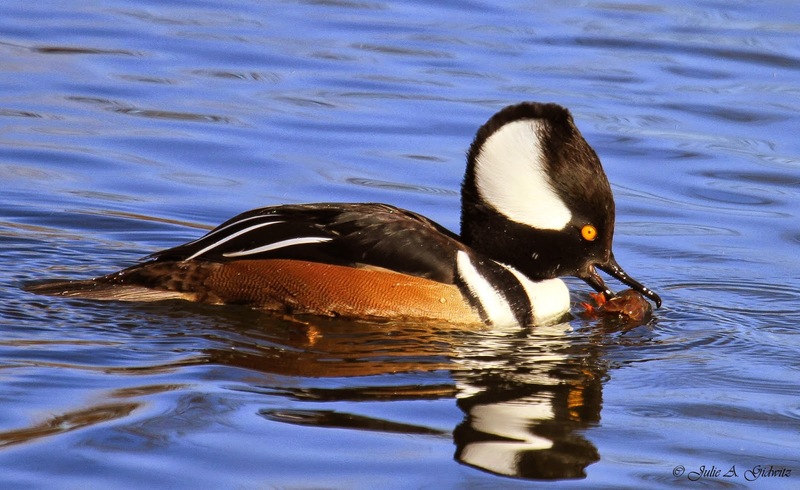 A variety of waterfowl, gulls and shorebird species frequent these areas and can often be seen migrating offshore, resting on the beaches or feeding on the detritus along the waterline. Not commonly seen in our area, this phalarope delighted birders with its presence for four days in November, 2014. 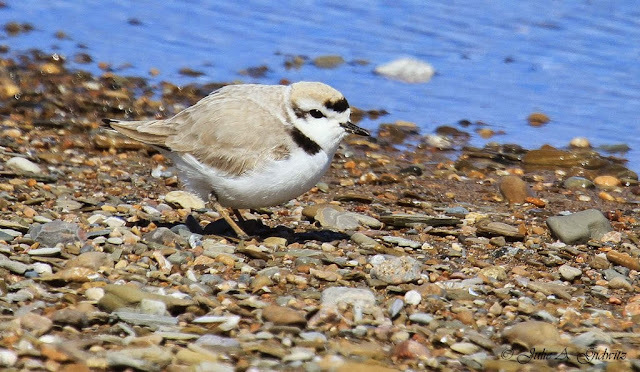 This little plover was spotted on New Buffalo Beach in Michigan. They are not common to this location. Another bird not often seen in Chicago. 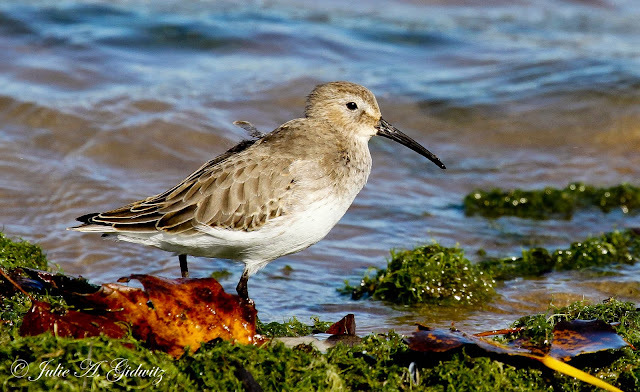 This Red Knot was spotted at Montrose Beach in September of this year. 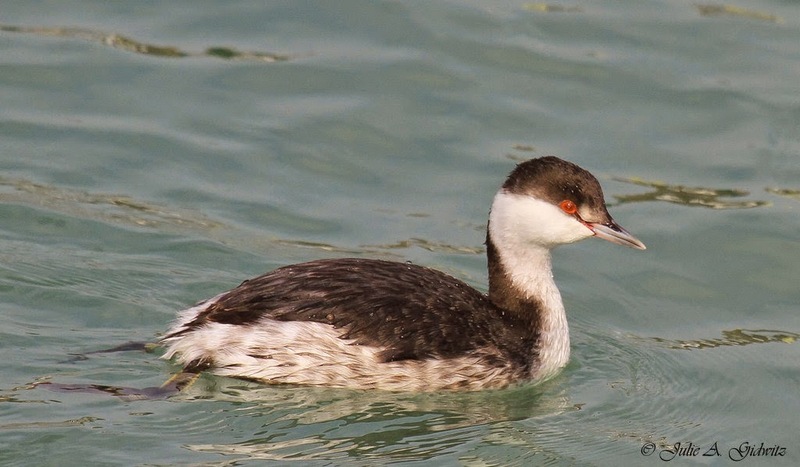 Seen last week, this Red-necked Grebe is another bird rarely observed in Chicago. Birders were excited to see this goose at Montrose Beach in October of this year. 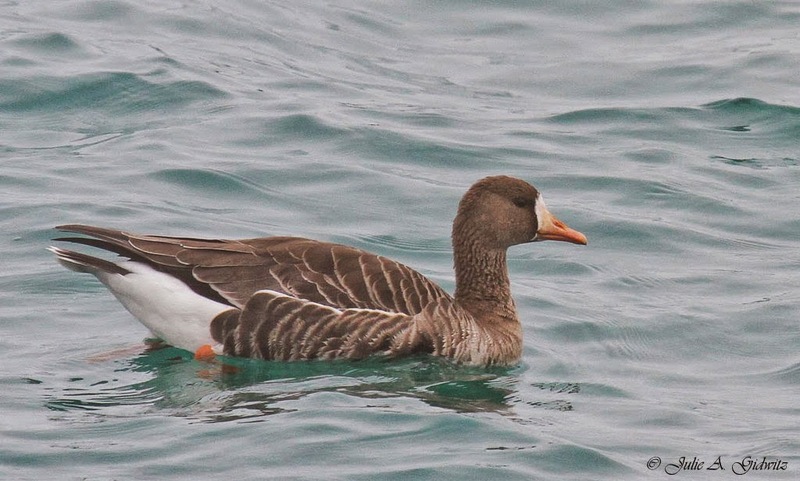 Greater White-fronted Geese are not regularly spotted at this location. 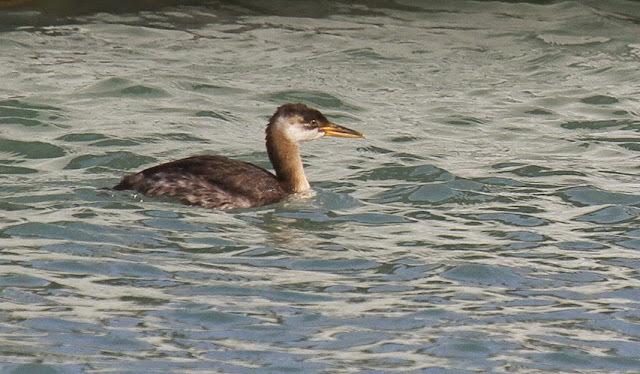 Normally seen west of Illinois, this Eared Grebe spent a few weeks at Montrose Beach last November. I posted about World Shorebirds Day in September when I was out counting birds. At that time I used photos I already had on file, but these are some of the actual birds I saw while out doing my bird counts. I counted birds in several locations, including Wharton's Point, Simpson's Point, Barnes landing and my own Mere Point Boat Launch. Though the official day was September 6, people were encouraged to count for all three days of that weekend. 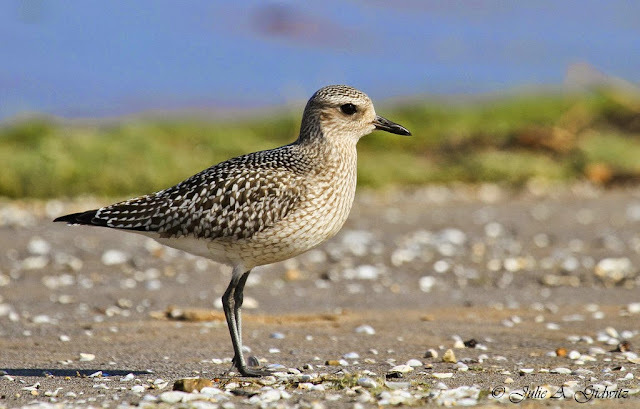 Here in Maine it was shorebird migration, so I saw shorebirds in places I had never seen them before. I also found a few shorebirds inland along the Kennebec River in Norridgewock, Maine. Maine is an amazing place to bird and I feel privileged to live here! Checks out the links below to find more info and see more birds!